Over the past few months, we’ve been introduced to a wide selection of new boot releases and colorways as brands produce their “best of the best” to showcase in soccer’s biggest events. From Euro 2016 to the Copa America, and now with all of Europe’s big leagues are underway, we have been introduced to fresh new styles and approaches at each stage. It has been a while since I’ve checked in with a rundown of what I’m currently loving the most on the market. 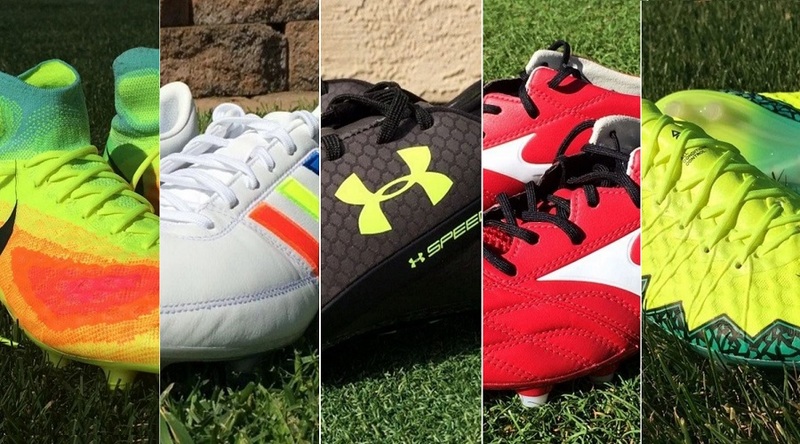 So, here is a breakdown of my best 5 performing boots currently on the market. The focus here is on boots that are readily available at retail, and have the correct characteristics to suit my attacking style of play. After reading, if you are looking for advice on boots for your particular style, feel free to leave a comment below. Nike made a radical move in reintroducing the honeycomb textured upper that was found on the original Hypervenom release, but not on the second generation. Fans called for a change, and they replied with what came with the third generation. And in case you were wondering, I’d choose the Phinish or Phantom any day of the week; the regular ankle cut is so much more natural in play than the mid cut collar. In this situation, I don’t recommend spending up to get a collar, it doesn’t add any extra value to the boot. The honeycomb texture design is perfect for reducing the amount of impact as you strike shots, while allowing additional flex to increase the surface area between your foot and the ball. In turn, this plays a role in improving accuracy, as you are basically connecting with a more uniform region. On The List Because: Much improved upper, with that honeycomb texture upper and off centered lacing providing one of the best strike zones you will currently find on a boot. 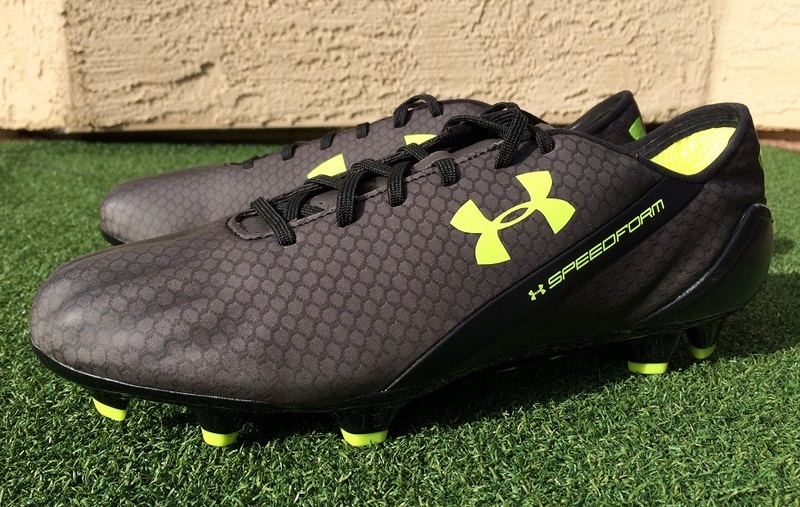 Yes they are an “outdated” model, but the performance of UA Speedform is top quality and one of the most competent of all boots around right now. Plus, the outdated part means they are currently available at extremely solid sale prices. One of the best things about the Speedform is how they just seem to get better with wear. They also do feature an articulated toe box along the front of the boot, don’t let that scare you. Since featuring our review, I’ve worn the Emerald Lake version several additional times and the upper just continues to mold and conform to my exact forefoot specifications. The end result is a pitch perfect fit that provides excellent touch and control on the ball. On The List Because: Incredibly comfortable with a memory foam style sole lining and an extra layer of padding around the heel. Plus they are perfectly balanced performance wise. In reality, my top choice goes to the regular Morelia Neo here. But, since their introduction to the US market, the regular version has been replaced by the MIJ (Made In Japan) version. Even though there is more quality in the MIJ version, it is hard to justify the higher price. But, if you can drop $290 on a pair, they are definitely worth it. Made in Japan, the Morelia Neo MIJ is a blend of quality materials, craftsmanship and innovation. The upper features an ultra thin, yet super soft, Kangaroo Leather and the stitching adds a level of dimension that I like a whole lot on the ball. Weighing in at 6.8oz, they are also built for speed, comfort and a clean first touch. One of the boots top features is the inner sock liner that is made from a soft suede-like microfiber. On The List Because: Low profile conical studs, balanced soleplate and stitched leather upper that provides perfect, natural touch on the ball. When you combine a modern look with solid performance and a competitive retail price, the Gloro is an absolute must wear for players, at least once through their career. 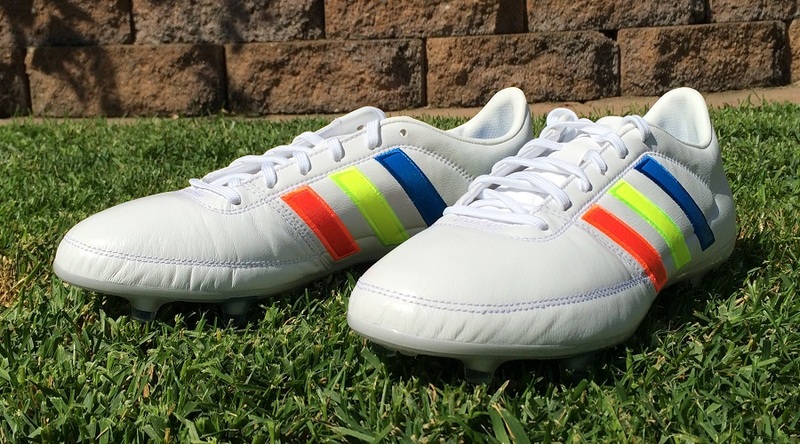 adidas choose to release Gloro as a modern day option of the Copa Mundial series. Plus, the retirement of the adiPURE series meant they would be leaving a complete void category in the market. The leather upper on these boots is clean and absolutely buttery soft. On the ball, you get a very natural feel and they are designed to allow you to play the game in a simple fashion. If you are on a budget and in need of something that works right out of the box, the Gloro is definitely a top option to consider! On The List Because: In terms of value for money, they just can’t be beat. The leather is so clean, and from the image above you can tell how supple it is from the creasing. 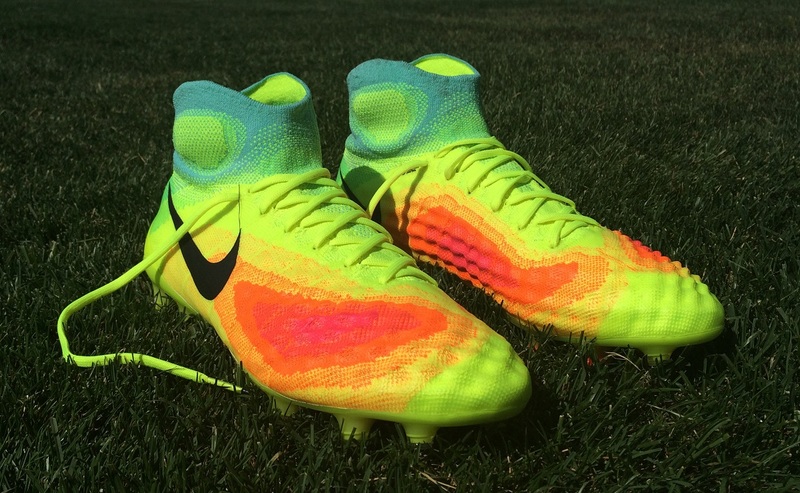 One of the latest boot releases on the market, and one of Nike’s best performing boot releases to date. Everything is spot on on these boots, including the anatomically contoured mid cut collar, which has actually gone as far as converting me! As opposed to the Hypervenom in the #5 spot, I’m all about the fit and feel of the collar on these boots, and it absolutely adds to the value of what you are getting. Nike tackled the concept of “sensory amplification through feel.” Basically what that means is they were looking to find the areas of the foot most sensitive to touch and mapped them against high-touch zones. The end result is peaks and troughs along different parts of the upper, depending on how much cushion is needed in that region at key moments. And in my opinion, this is the best boot for striking a shot to hit the market since the Nike T90 Laser series was retired! 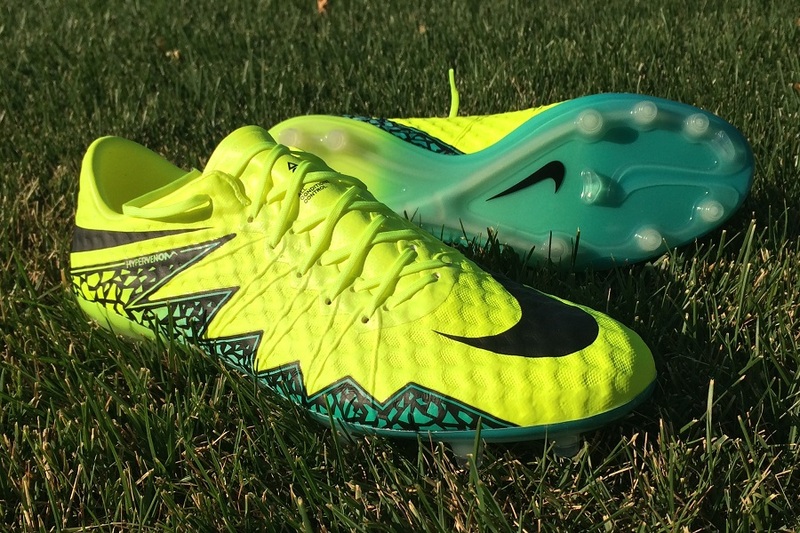 On The List Because: Best performing boot on the market right now, hands down! It is that simple. There are several boots that very narrowly miss out on this list right now, including the Puma evoPOWER 1.3 and the adidas X16+ PURECONTROL. And then there is the Nike Tiempo Legend 6 that would easily be a top 2 contender if not for their durability issues! How does your top 5 list compare with what I’ve put together? Give me your rundown in the comments below! Has your list shifted at all? 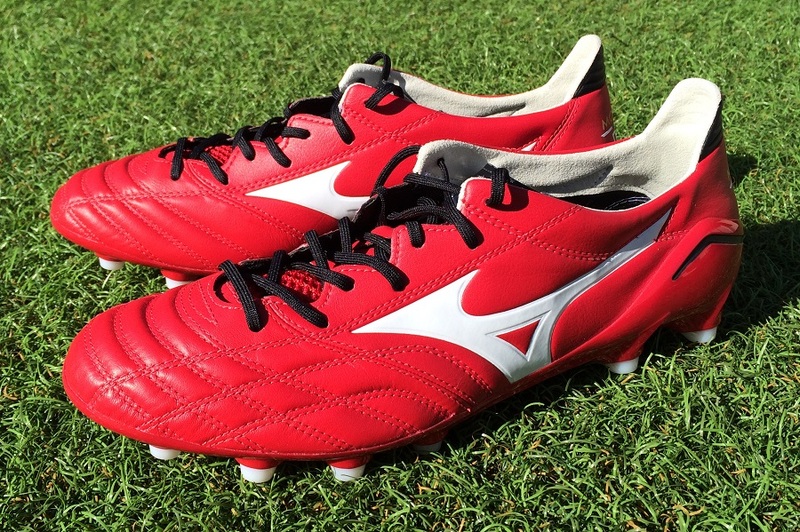 Also thoughts on the Gloro's vs just the Normal Mizuno Morelia Neos? Just because of the price, I'd have to go Gloro. They are such a simple shoe, yet the performance is top quality.